I obtained a Bachelor of Science in Biology from University of Indonesia in 2014. After graduation, I started working at the Wildlife Conservation Society-Indonesia Program (WCS-IP) where I had the opportunity to get involved in Sumatran tiger population monitoring and elephant crop raiding management. I was responsible for documenting the lessons learned from WCS-IP program implementation as part of a knowledge-sharing initiative. My research interest focuses on finding ways for humans and wildlife to co-exist. I initiated an assessment of the elephant crop raiding mitigation practices in the Southern part of Sumatra. My thesis research was on livestock predation by Komodo dragons in Komodo National Park (KNP), and it was the first study of conflict ever conducted for this species. 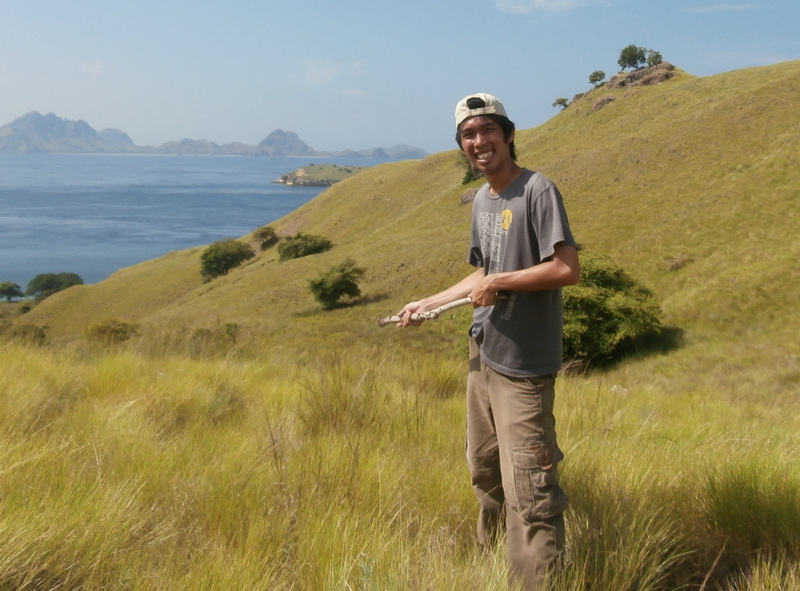 I have also collaborated with the Komodo Survival Program, a local NGO focusing on Komodo dragon conservation, to assess the impact of tourism on Komodo dragons and livestock predation on Flores Island. In addition, I am currently active as part of the core committee of TAMBORA, the Indonesian Young Conservationist Network, the Sumatran Tiger Conservation Forum, and the Society for Conservation Biology-Indonesia Chapter. My involvement with these organizations is mainly to enhance the capacity of Indonesian conservationists through a series of seminars and trainings to ensure conservation interventions have a wider impact. Being able to enrol in this Postgraduate Diploma Course and work closely with WildCRU offers me a great opportunity to learn a wide range of knowledge and skills regarding integrated conservation actions. For my final project, I would like to analyze social survey data to assess the local communities’ perceptions of Sumatran elephants in a landscape where crop raiding is a daily problem, and use the results to understand and manage elephant crop raiding in Indonesia.